When I was younger I believed in the magic of books - that a single text and the secrets therein could change your life for the better. 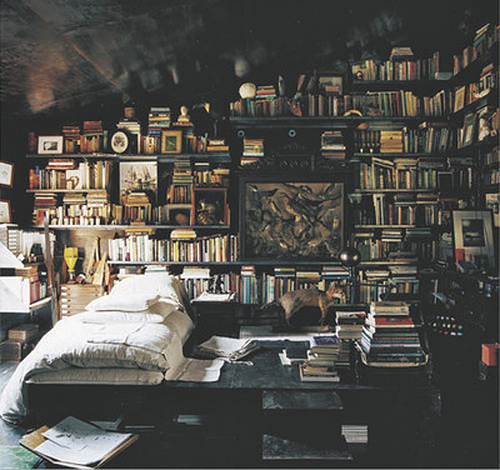 My book-shelves were my playgrounds, each cubby a shrine to beautiful and powerful ideas. For instance, if I hadn't come across the book Mathematical Mysteries by Calvin C. Clawson in a public library during grade school, I would not have gone to graduate school to study advanced math. The impact of a great book on a life (especially a young one) cannot be told in advance and should never be underestimated. For a long time I have wanted to compile a selection of the most exquisite volumes from my travels, and now I've finally got around to it! My new recommended reading list is up but still very much a work in progress. Please let me know if there is something amazing that I'm missing!